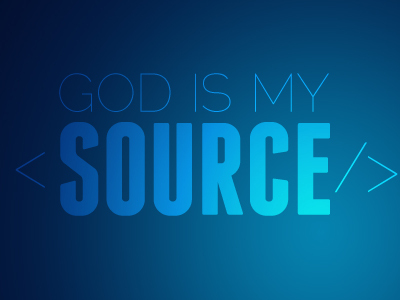 You will not lack any good thing as you look to Me as your source, says the LORD. I Am not slack concerning you or My promises to you. I Am not forgetful of My WORD! I watch over it to perform it FOR YOU! I have not put you at the end of the line where you have to wait your turn. I never tire and there is no end to My supply. I will do just as I have spoken concerning you. I will meet your need and give you abundant life in me now. I Am faithful to you and you do not have to wonder if I will answer you. I always hear your prayers and My ears are never dull of hearing. I have not cancelled your blessings that I have preserved for you nor changed My mind concerning you. You are never out of My sight and I always respond to your need, says the LORD. TRUST ME as your great Shepherd that cares about you! For I have no favorites, says the LORD. You are important to Me. I have not looked away from you or looked past you as if you were not even there in front of ME. You have My ear. You have My heart of Love! I have YOU! I Am in control and Am able to do more for you than you can ask or think or imagine. I AM more than enough for you, have all that you need and will supply you as you come to Me in simple child-like, dependent faith, and ask. I will not deny you any good thing, and you will be furnished onto every good work that I have assigned for you to accomplish. I will give you what you need as you cease to worry and refuse to fret. I have everything that you need, will supply it and take care of you, says the LORD. ONLY BELIEVE and trust in Me at all times, for I cannot and will not fail you! Wow!!! How awesome is the Words of our Abba Father!!! Amen! Thank you my redeemer.